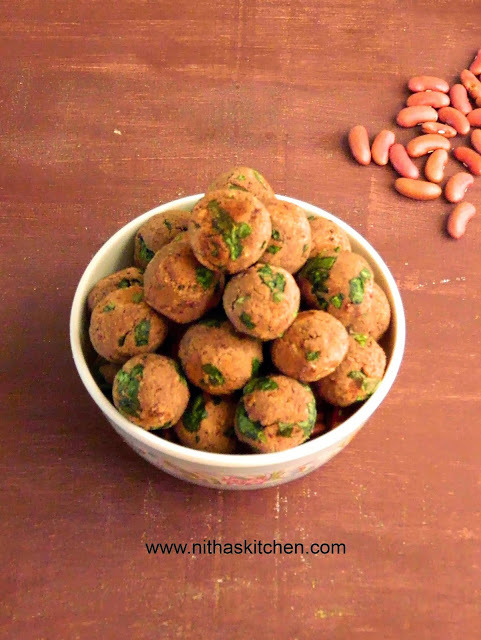 Here comes the authentic Kanchipuram Idli Recipe, during last summer when my neighbor pampered me with lot of banana leaves, the first thing I did was, this flavorful Kanchipuram idli . 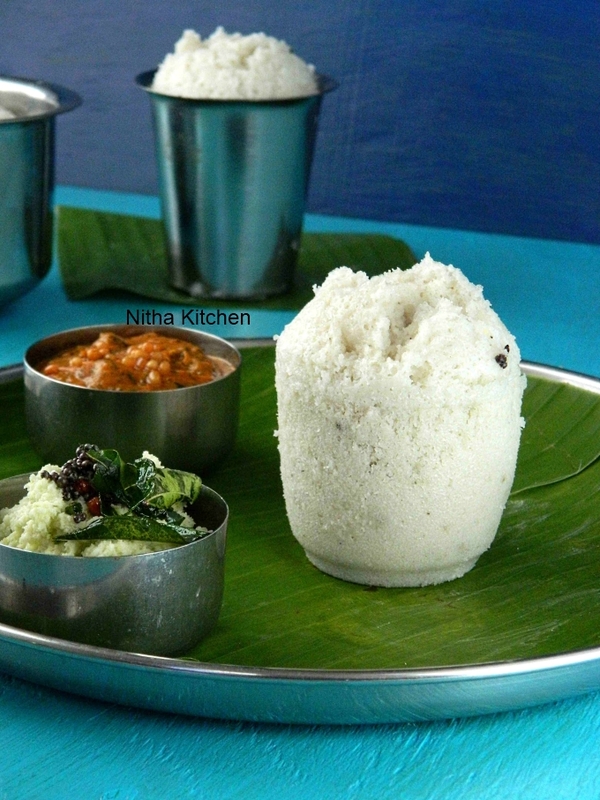 I have tasted this traditional milagu idli in Chennai restaurants and always wanted to give a try at home. 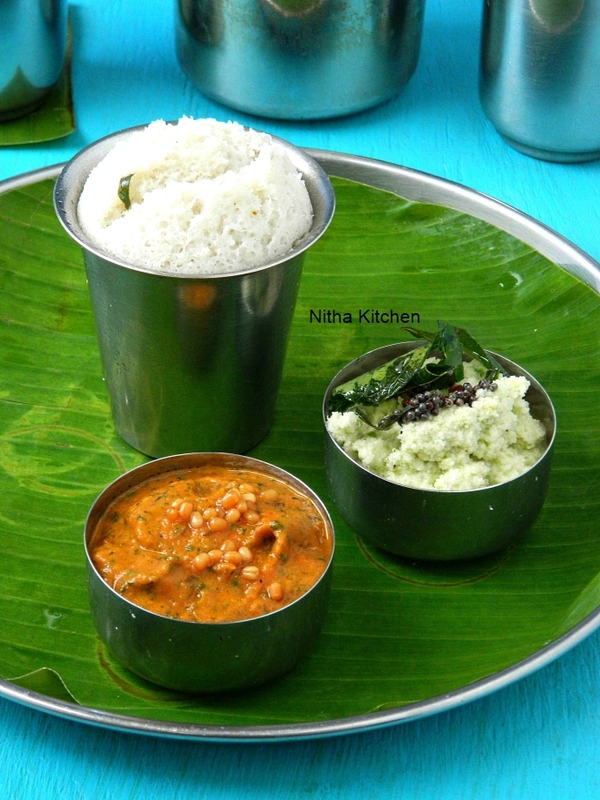 And after having banana leaves without any further delay I prepared it. 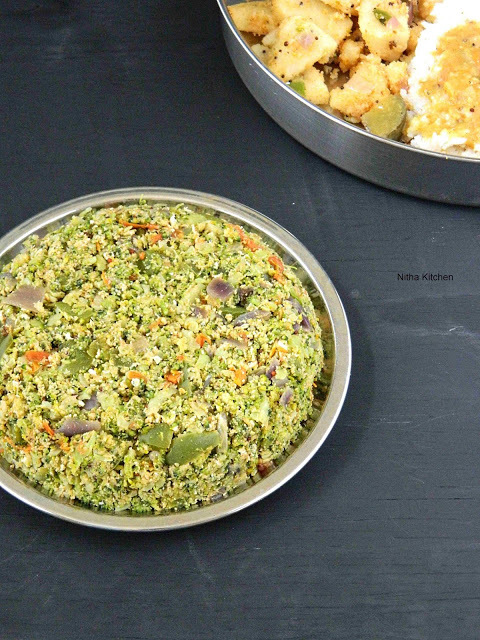 The usual idli dosa batter has proportions of idli rice and urad dal and here in this recipe addition of raw rice enhances the taste plus the nice aroma from the tempering this are the major difference from regular idli batter. 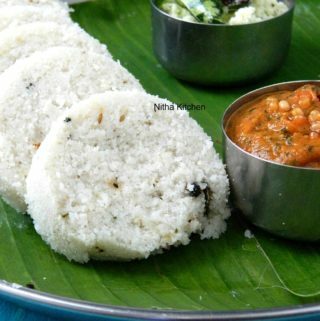 My kids liked this soft fluffy kancheepuram idlis to core also the key point to nail this recipe is you have to grind it coarse and so less than 3 hours of soaking time is absolutely fine. Some calls it as thalipu idli and some milagu (pepper) idli anyways the name “Kanchipuram” arrived from its city of origin. Wash and Soak both rice varieties in a bowl. After 1.5 hours of rice soak in another bowl do add urad dal and fenugreek, wash and add enough water to soak. Let them soak for one more hour. 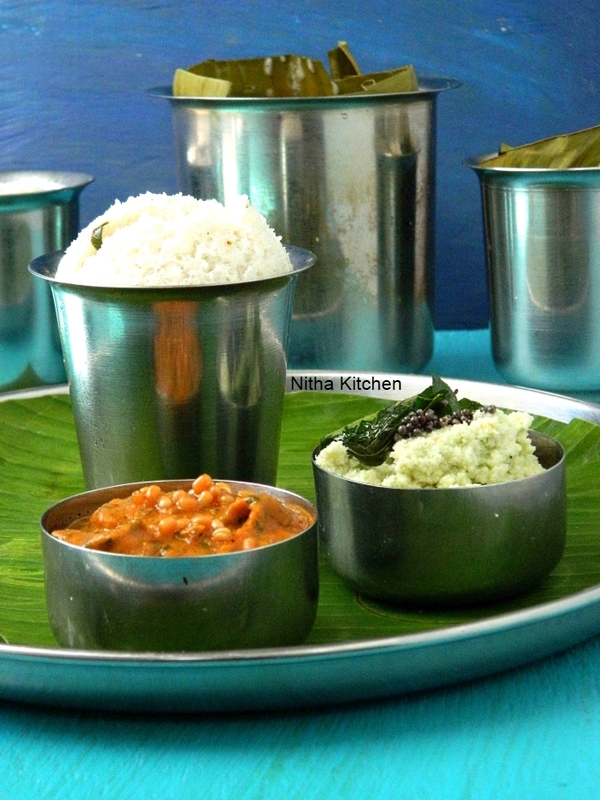 Rice needs just 2.5 hours of soaking and it needs just 30 minutes to grind to coarse texture. 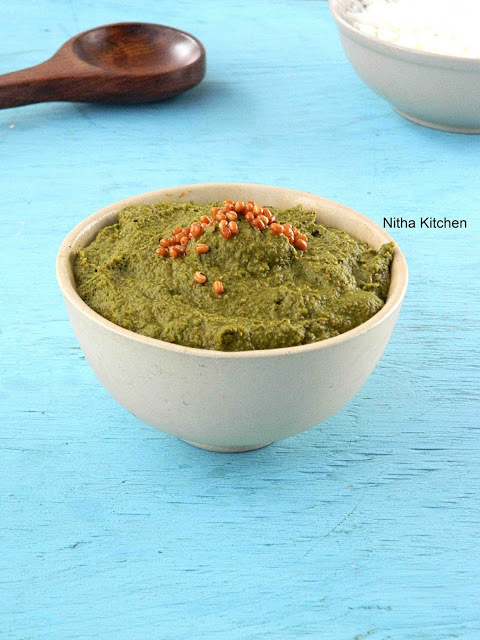 And then in next batch add urad dal mixture and grind to smooth paste (approx 40 minutes). 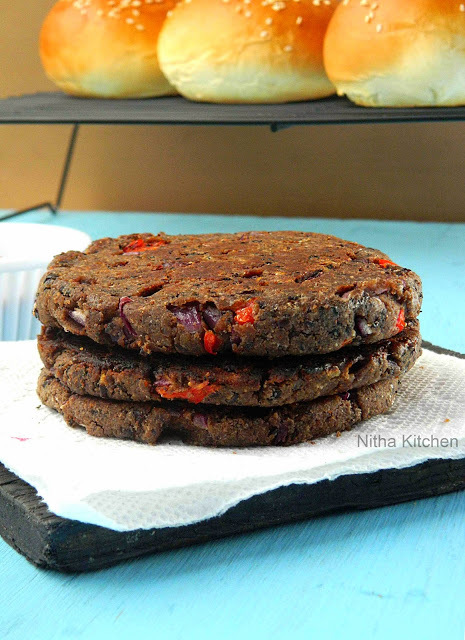 Once done mix both the rice and urad dal batter with enough salt, cover and let them sit in room warm temperature for 6-8 hours. After 8 hours they batter turns fluffy and increased in quantity (but not like usual idli dosa batter since this kanchipuram idli batter has pachai / raw rice ). 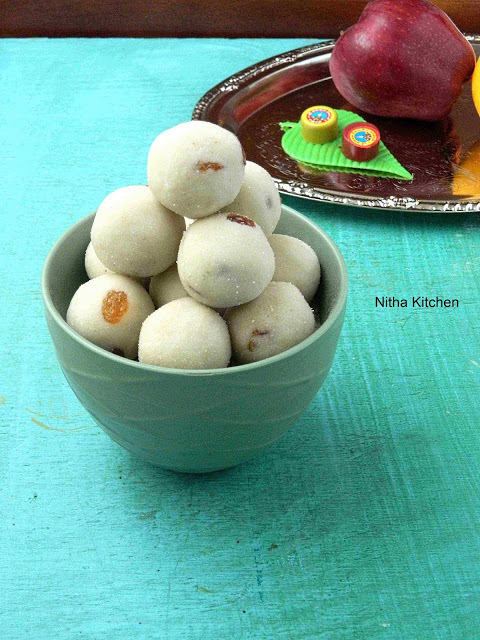 Later in a pan, add oil or ghee to temper the ingredients given under “To Tempering”. When oil is hot add cumin seeds followed by pepper corns. 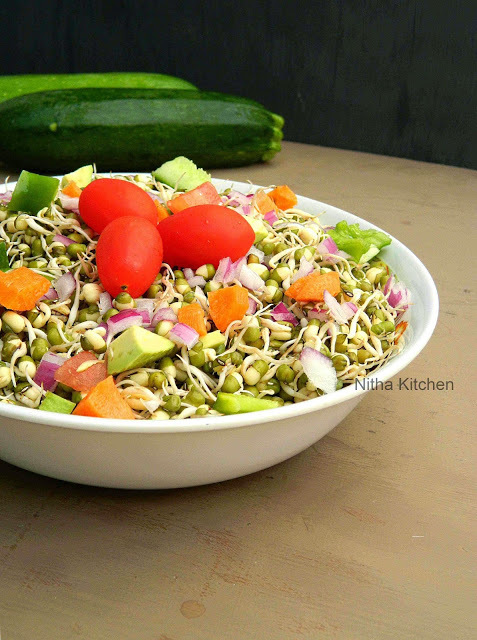 Add cashews if using and let it tunr golden brown. 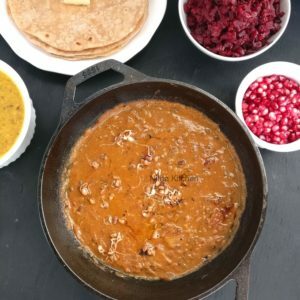 Remove the mixture form flame and add the chopped curry leaves. 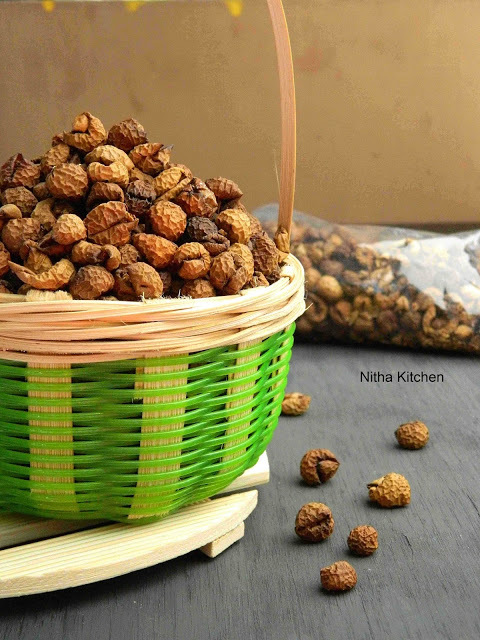 Add this to the fermented kanchipuram idli batter. Now comes the cooking / stemaing part where you can use any molds that you have at home for steaming it. 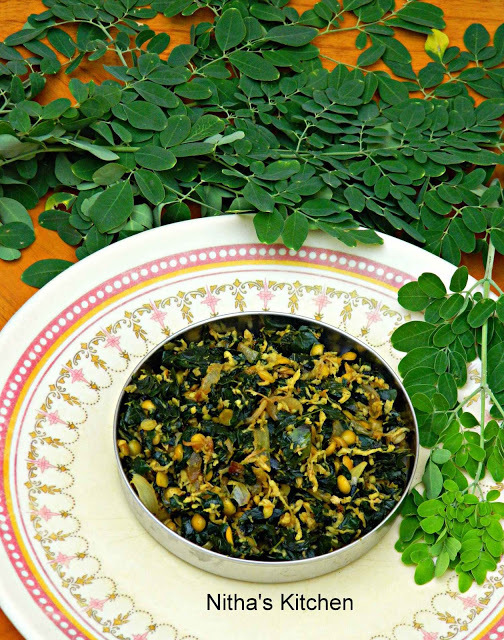 Also the banana or donai leaves are traditional way to cook this but you can skip it very well. 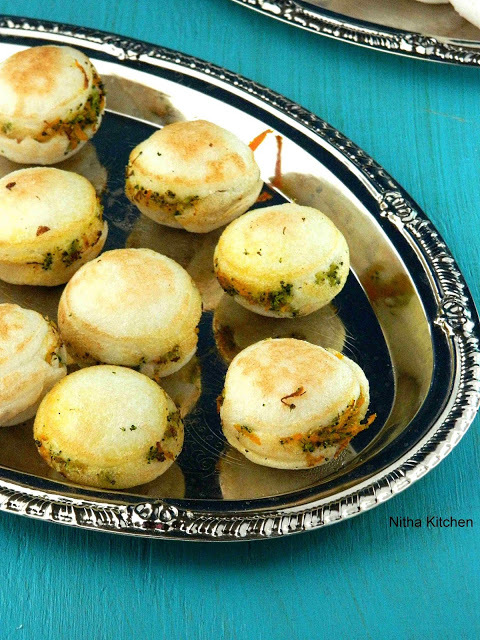 Instead grease the molds with oil or ghee and make idlis in the same way mentioned here. Take the stainless steel cups or utensils to steam. Either grease with oil or ghee or wrap with banana or donai leaves. For the flexibility you can warm the leaves in fire, so that it holds the shape well. Meanwhile add necessary water to the idli pan and bring it to boil. 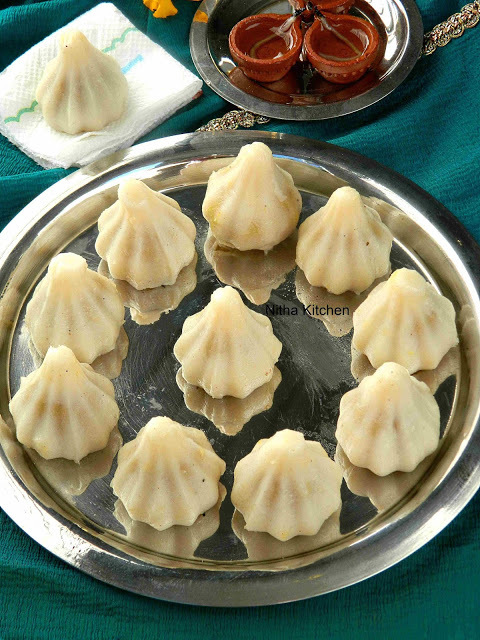 Pour the idli batter in the prepared molds (or in regular idli plate) and Keep them inside the idli pan. Cover them with lid and make sure they are tight. Steam them until the tooth pick inserted at the center comes out clean. Let them cool before slicing them. 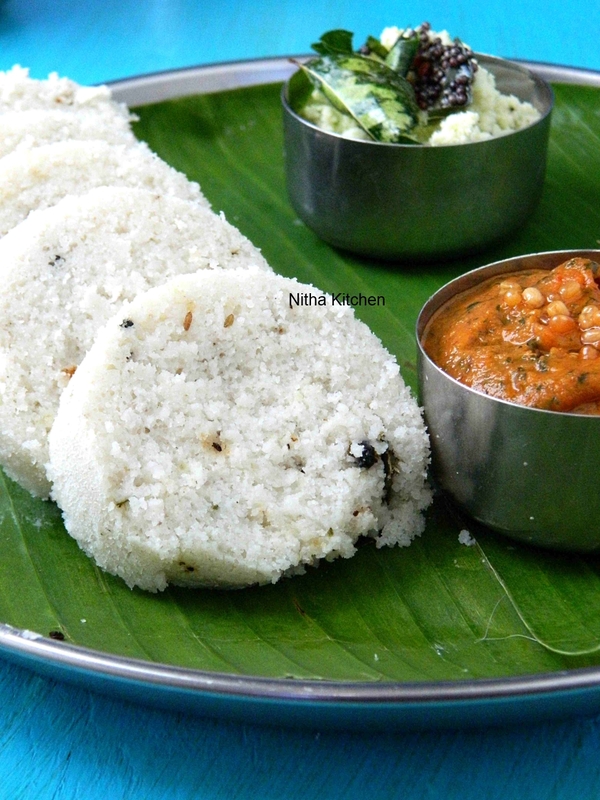 The flavorful idlis has paired with thick coconut chutney (getti chutney) and tomato mint chutney. 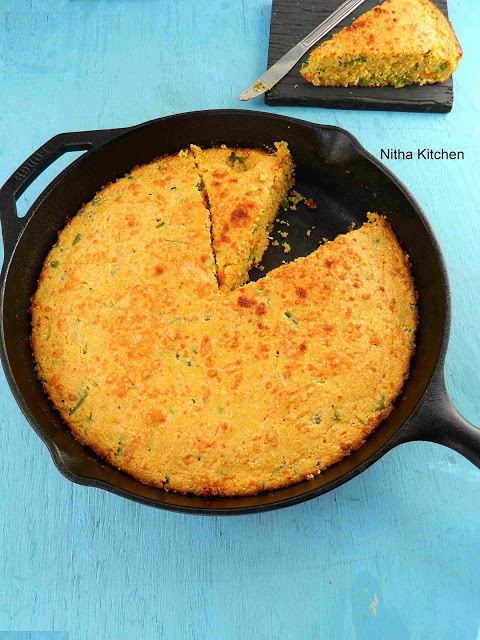 Later in a pan, add oil or ghee to temper the ingredients given under "To Tempering".